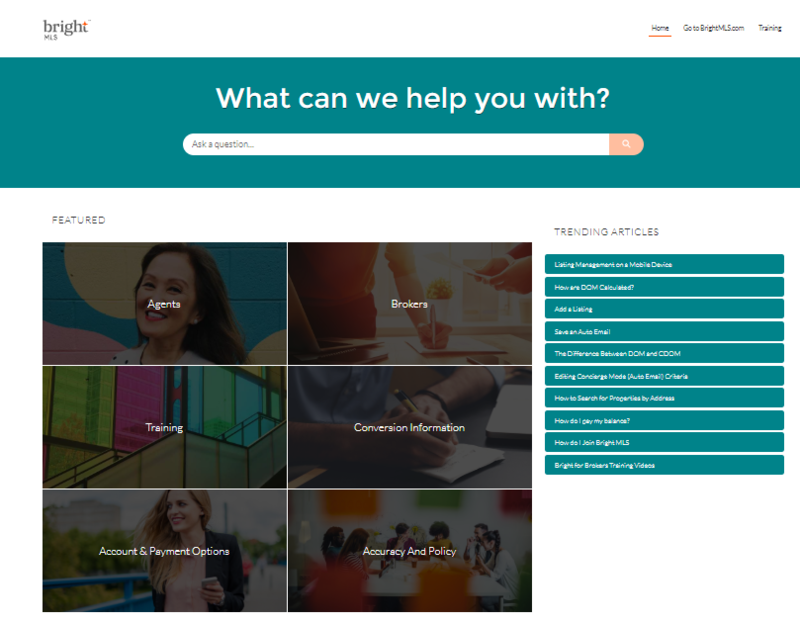 Bright MLS launched a new online help system that serves as a knowledge base for the system. Their support team intends to add help topics to this database to use as an ongoing resource. It is purposely designed for ease of use, so you can quickly find information and related articles based on your search criteria and browsing history.